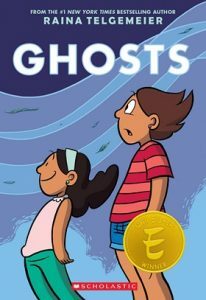 The Black-Eyed Susan Book Award is a children’s choice award for the state of Maryland. 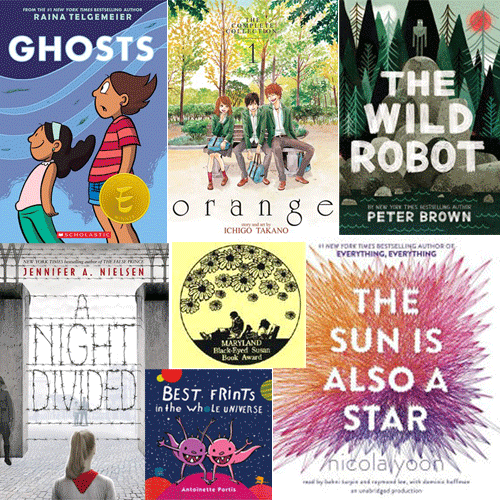 Each year since 1992, the Black-Eyed Susan Book Award has been given to authors and/or illustrators of outstanding books chosen for the award by Maryland students. The award seeks to promote literacy and lifelong reading habits by encouraging students to read quality, contemporary literature. Reading committees of school and public librarians, and other interested members of the Maryland Association of School Librarians (MASL), meet to determine which books will be nominated and placed on student reading lists. 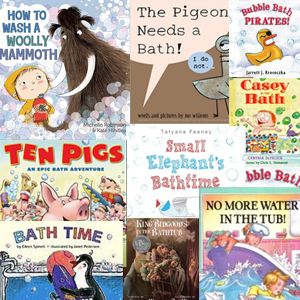 There are six different reading lists: Picture Books, fiction/nonfiction for students in Grades 4-6, Grades 6-9, and High School and Graphic Novels for students in Grades 4-6 and 6-9. 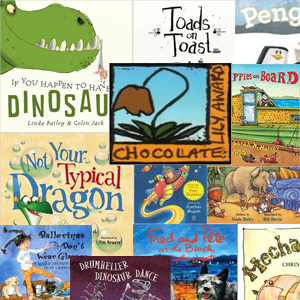 The nominated books are expected to be outstanding books that broaden the human experience and provide students with new insights into their own lives. Books may be suggested for consideration by students, teachers, parents, or other interested readers. Books may be fiction or nonfiction with a copyright date of the current year or one of the preceding three years. 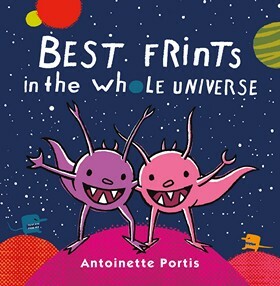 Yelfred and Omek of planet Boborp are best frints, even when they have disagreements. When robot Roz opens her eyes for the first time, she discovers that she is alone on a remote, wild island. Why is she there? Where did she come from? Most important, how will she survive in her harsh surroundings? Roz’s only hope is to learn from the island’s hostile animal inhabitants. When she tries to care for an orphaned gosling, the other animals finally decide to help, and the island starts to feel like home. Until one day, the robot’s mysterious past comes back to haunt her. 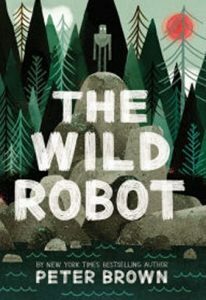 Heartwarming and full of action, Peter Brown’s middle grade debut raises thought provoking questions about the environment, the role technology plays in our world, and what it means to be alive. Catrina and her family have moved to the coast of Northern California for the sake of her little sister, Maya, who has cystic fibrosis–and Cat is even less happy about the move when she is told that her new town is inhabited by ghosts, and Maya sets her heart on meeting one. 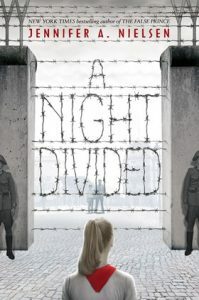 When the Berlin Wall went up, Gerta, her mother, and her brother Fritz are trapped on the eastern side where they were living, while her father, and her other brother Dominic are in the West–four years later, now twelve, Gerta sees her father on a viewing platform on the western side and realizes he wants her to risk her life trying to tunnel to freedom. On the day that Naho begins 11th grade, she receives a letter from herself ten years in the future. 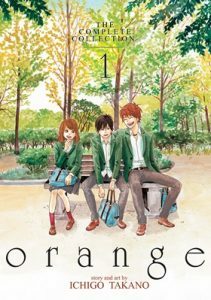 At first, she writes it off as a prank, but as the letter’s predictions come true one by one Naho realizes that the letter might be the real deal. 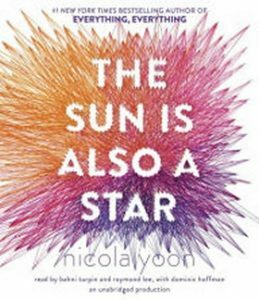 Two teens- Daniel, the son of Korean shopkeepers, and Natasha, whose family is here illegally from Jamaica- cross paths in New York City on an eventful day in their lives. Daniel is on his way to an interview with a Yale alum and Natasha is meeting with a lawyer to try and prevent her family’s deportation to Jamaica. On this one day, they fall in love.